Lanny Davis used to be a special counsel to President William “I do weird stuff with interns and cigars” Clinton. As such, he was charged with defending the president at all costs against everything he was accused of, like any good attorney on retainer would. In fact, in a very sad attempt to stay relevant following the re-election of George W Bush he published a book and went on tour to promote his tome. One stop on his tour was the University “The Chief” attended when he was a freshman. At first, buying a ticket and his book was required by the faculty (after all the school was in Marin County), but then it wasn’t. As the blessed event drew near, tickets were given away for free so I decided to go. In addition to a free ticket (the event was held at my college) I was able to obtain his book for free. 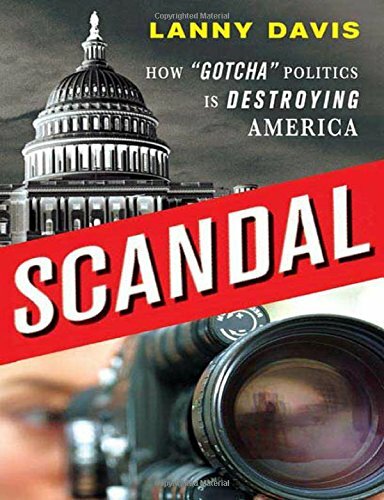 Scandal: How Gotcha Politics is Destroying America. Retail was $24.95 in USA, $32.95 in Canada, thank God I didn’t go to school in Canada, why would I pay $8 extra for the same book? Are these the Trump tariffs? Oh wait, this was 2004. I was even invited to meet the speaker…again for free, he was so in demand. He walked over to me and started a conversation, we talked shop a little. He was likely triggered by my Bush Chaney 04 shirt I had on. I don’t think he really cared who I was supporting. Turns out his son is Seth Davis of CBS NCAA coverage fame. We found common ground and talked for a while about him. Like any proud father he talked, talked, and talked some more about how great his son was…….Barf. Commentators are a dime a dozen, and especially those who work like 2 months a year tops and are the definition of replaceable. But that is okay. He showed me about 5 photos, his son looked the same in each one. Finally, just as I was wishing I was wearing the “Drunken Jedi’s backpack” he was told to get ready to get on stage. My prayers were answered. I took a seat in the auditorium; it was deemed a sell out by Raider Fan standards… about 70% empty. He actually gave a good talk, basically referencing a sitting President screwing up and the other side immediately moving for impeachment, that rings true in the last 3 administrations by the way. However this blog isn’t to talk about that speech. “The Chief” specializes in hot takes, so here you go. 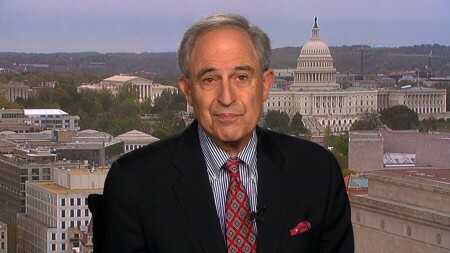 Lanny Davis has a history of being the angry white male while on camera. As you may recall, Lanny Davis was angry on election night while a guest of CNN…what else is new on that network. The Clinton regime sticks together or else… Maybe Davis felt he would be next in the scores of Clinton “confidants” found to have “committed suicide” (I will use the term “allegedly”) had he done any different. 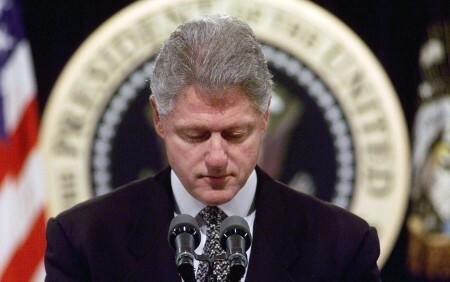 Surely its coincidence that those “suicides” seemed like foul play was involved; however, with the Clintons, it’s best not to leave the reservation. Clearly, William “the intern seducer” Clinton wouldn’t have had anything to do it himself because he’s too busy entertaining. Anyway, Davis went off the deep end the other day regarding Donald Trump…who by the way is still the President. He went postal so badly that it should have resulted in a 5150 hold. He claimed President Trump knew in advance about a meeting in Trump Tower with Trump’s campaign and the Russians. Well literally on the following Tuesday, Davis back peddled on his story so quickly that if any NFL team is looking for a cornerback, he’s your guy. Davis reversed direction so quickly he lost his lead blockers in the media by saying “I regret not being much clearer in saying I’m not sure about this story.” Davis made this admission to NBC News. “It’s a major mistake for which I am 100 percent sorry. Period. I never should have done it unless I was certain and could prove it.” Hmmmm what is your book titled again? So basically you made it all up, nice job. You’re about as phony as your low rent son. So Davis, let’s take a look at your clients over the last few decades. You my friend have a monopoly on morally bankrupt clients, glad you share their morals! Chief no like bottom feeders. Now you have been provided a retainer by Michael Cohen “allegedly” a friend of Donald J Trump…by the way still our President. 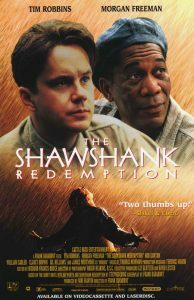 I think Cohen had a role in Shawshank Redemption, you know the grown adult crying for his mommy at the beginning of the film? Yeah, he was beaten and killed but he realized he didn’t want to be in jail, congrats Lanny, you are a failure. Hot Take: The chief coming in hot: Davis, or should I call you Lanny, do you “hook” yourself out to your clients for free, I’m asking for a friend? Your clients all seem morally bankrupt so do you actually get paid in money or….perks, if you know what I mean? And how many bottles of Viagra, I’m asking for a friend? Because no way it took just 4! Hotter Chief! Hotter! Lanny did you “hit your knees as well for el presidente? Chief get out the flamethrower! Is this the reason you still have all your hair because you and “el presidente” did the dirty? If not why do you have a still semi-full head of hair, and Carville and Begala are bald! Chief singe your hair now! Take that! Chief, drop a hot take from the clouds! Lanny is your son really an illegitimate son conceived by William “just the tip” Clinton and your wife…I’m asking for a friend! He looks more like Bill then you! Don’t bring that weak stuff near The Chief. Me steer clear of swamp people in home of Great White Father.